According to the general philosophy of common men, a start-up can only rise in a country which is already developed and where all the resources needed for doing a business are readily available. The truth is, however, different! Start-ups can spring up everywhere and it can grow in any country, even if it’s not yet developed. Also, the fact is, a start-up can even grow immensely in a nation which is still in need of an economic growth and hence, it can provide a lot of support in the growth of the nation, financially. Today, start-ups can undeniably make a great impact along with making some huge profits themselves. 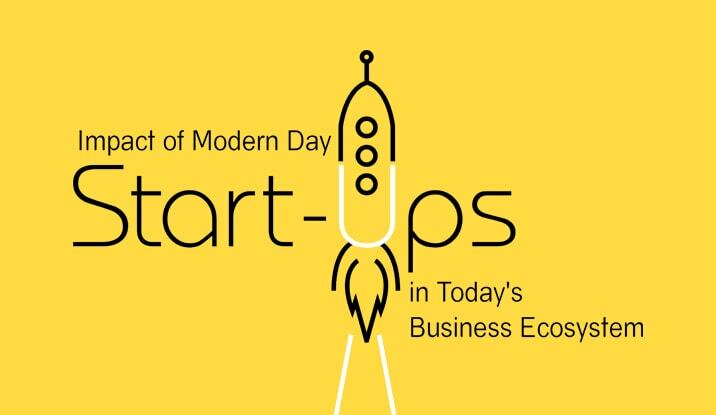 According to the inventor of the Lean Startup movement, Mr. Eric Ries, a start-up is a company which has been newly formed and whose purpose is to develop new and innovative products and services in any given situation. Hence, for the start-ups, this can very well be said that they have the huge potential of attracting growth in a nation. It can bring up new job opportunities, innovative dynamics and much more in today’s world business ecosystem. A start-up is all about innovation and newness! And this is one of the main reasons behind them being a key feature of economic development in any country. This innovativeness of the start-ups is the sole reason behind higher productiveness in today’s knowledge-based society. With young minds, fresh thoughts and the zeal to do something new, these start-ups have every potential to make it big in the future. So much so, that today, even the big companies are hiring start-ups to make use of their technologies which can help them to flourish their businesses. Surprised? Well, this is the truth! There’s no denying the fact that the start-ups have employed a lot of people which have persistently been contributing to the nation’s economic growth. The fact that these start-ups are all about innovations, their potential is huge, to be precise! And when a country feels like encouraging new talents through employments, it becomes necessary for them to invest in the start-ups that are creating several job options for the young minds and which will continue to do so in the years to come. Start-ups are, in a way, the doorway to the world of the Y generation! Both the knowledge-based start-ups and the technology ones are very closely related to the several knowledge institutions. This is immensely helpful for promoting research & development and research & innovation method of various organisations and knowledge institutes. Similarly, the need of research works in the various universities, colleges, and research institutes today have significantly increased. These are just a few reasons of encouraging start-ups today and there are much more! Start-ups, today, have the kind of potential and ambition which can help them thrive in the years to come. They are here to stay and boost economic growth with the kind of new job opportunities they offer. And it also has to do with the fact that a start-up of today would sustain jobs for today, but also create new jobs for tomorrow, through expansion, allied businesses, ideas-transfer and many more avenues. This, in turn, brings in good employment prospect for the future generations as well. Start-ups today lay the foundation for start-ups tomorrow and continue to bolster the larger interests of your country or in fact the world. What are your thoughts on this? Do share with us in the comment section below!